Each of these 4 factors has several elements. For instance, with the visual factor there could be several contributors to instability such as poor lighting, hazardous thresholds or unclear, cluttered pathways. The biggest balance challenge for individuals is the sensation factor, which involves a lack of feeling in the feet. This can be related to diabetes or neuropathy. To compensate for the lack of sensation, individuals will rely more heavily on their sense of vision to enable them to gauge their movements. For this reason, it is so important to have clear pathways and visual clarity throughout the home. The vestibular factor is a person’s sense of balance where issues can be related to inner ear problems. Physical therapists can assist patients with vestibular issues. It is important for a patient to work on strength and vision when there is a vestibular problem so he/she can compensate for a loss of balance. Strength factors such as weakness in the knees, hips or ankles can affect a person’s walking a well. Exercises offered through a physical therapist can help strengthen those weaknesses to avoid a fall. For strength/weakness factors, get an evaluation from a physical therapist. He or she can determine what to do to fix your problem. Sometimes, it’s as simple as prescribing simple exercises to regain strength. For visual factors, set up your home to be free from obstacles – rid pathways of coffee tables, rugs, clutter or anything that could hinder walking. Create clear and easy access to bathrooms – especially for during the night. Purchase night lights and install handrails in bathrooms and shower areas. Hardwood and tile flooring are always better than carpet for sensory factors. By following these simple steps, you can help you or a loved one prevent a potential fall. 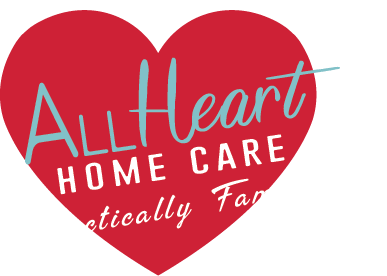 Talk to your physician about a referral to All Heart Home Care if you have any questions regarding physical therapy in your home. We’d love to walk beside you.